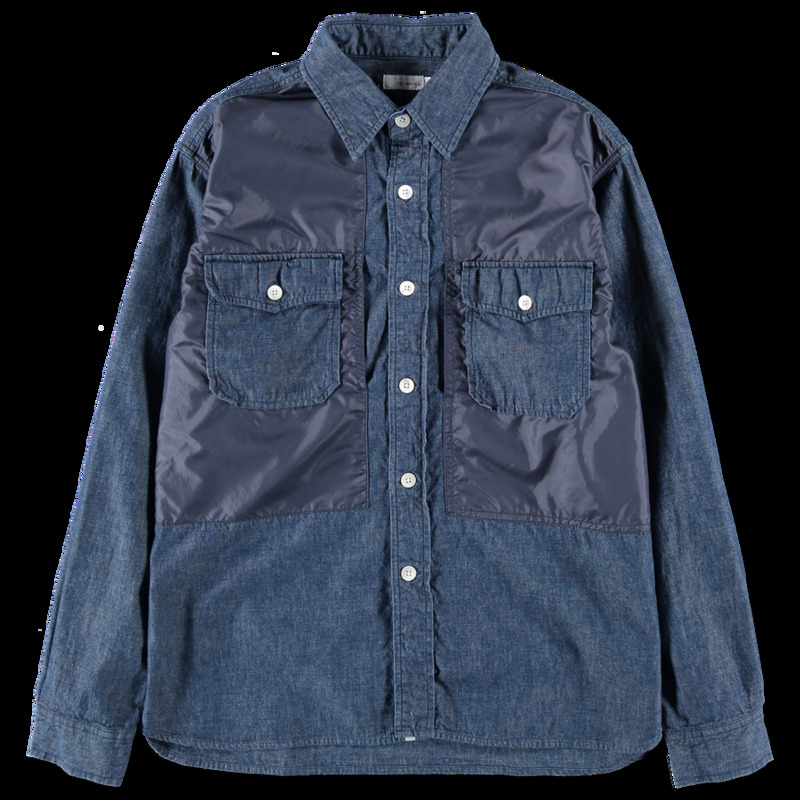 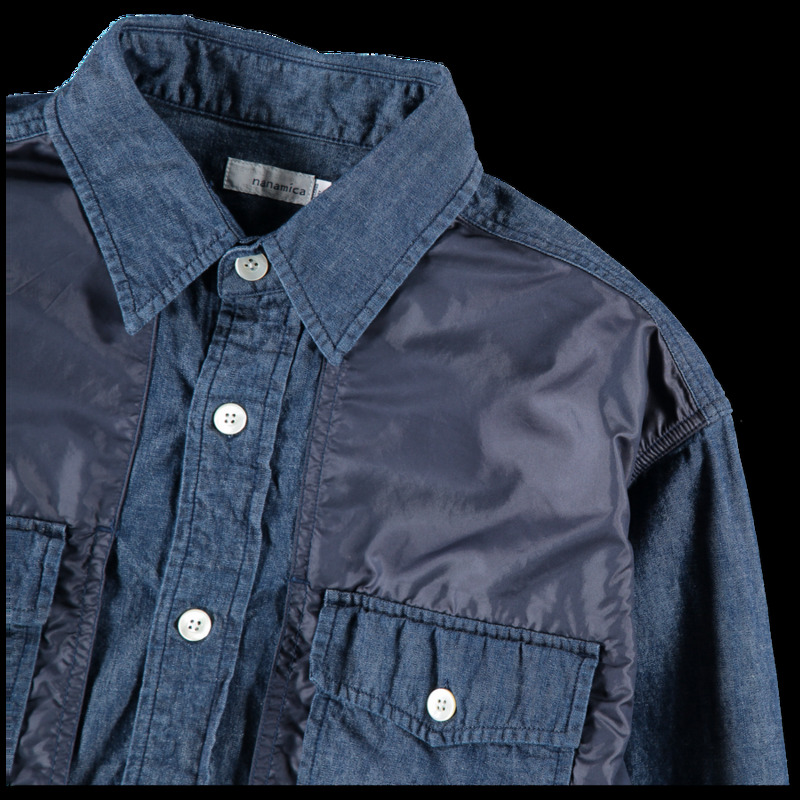 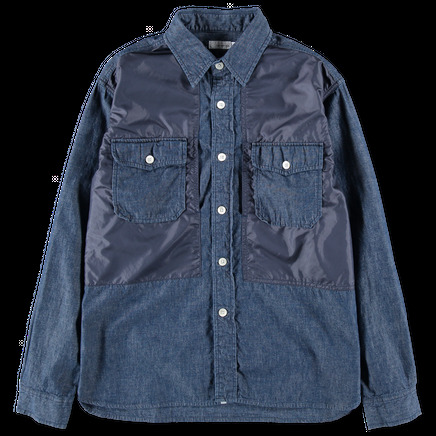 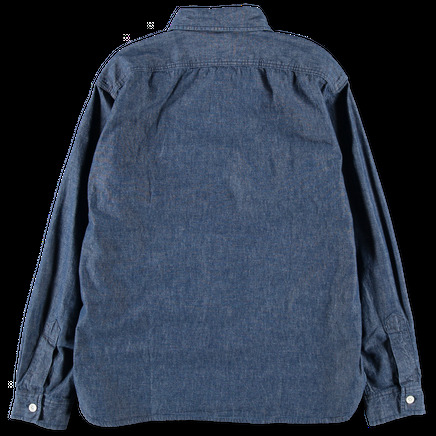 CPO shirt featuring a heavy indigo dyed chambray body with nylon inserts on the chest. 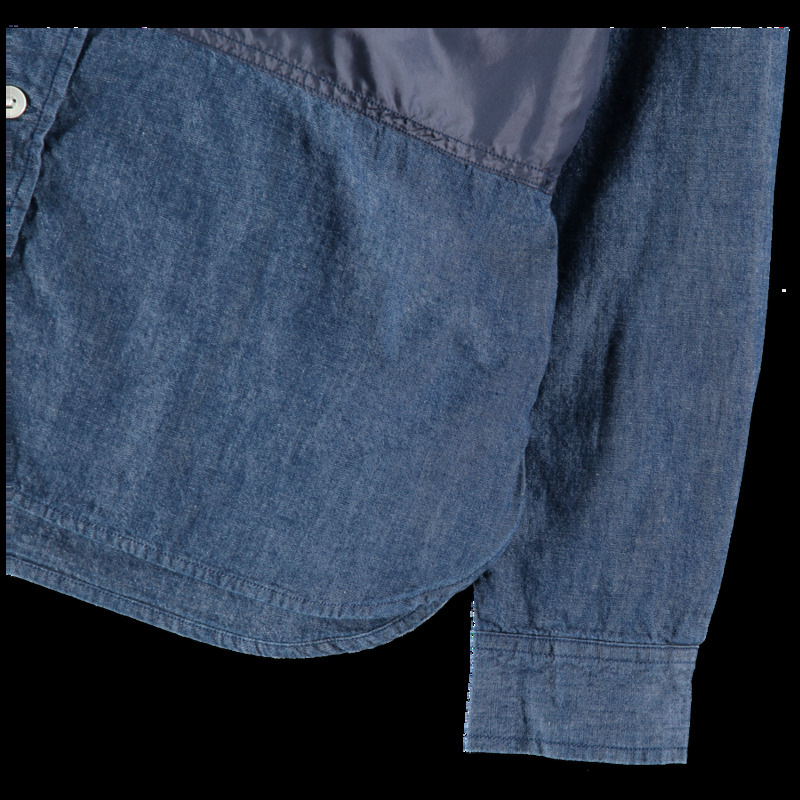 Double button through chest pockets on top of a second side entry pocket in the nylon. 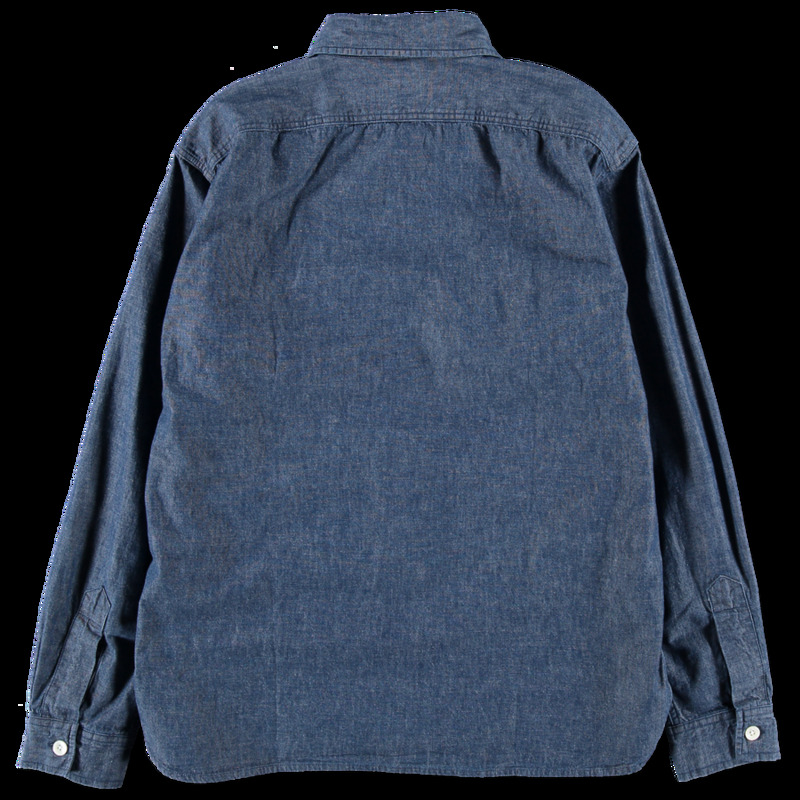 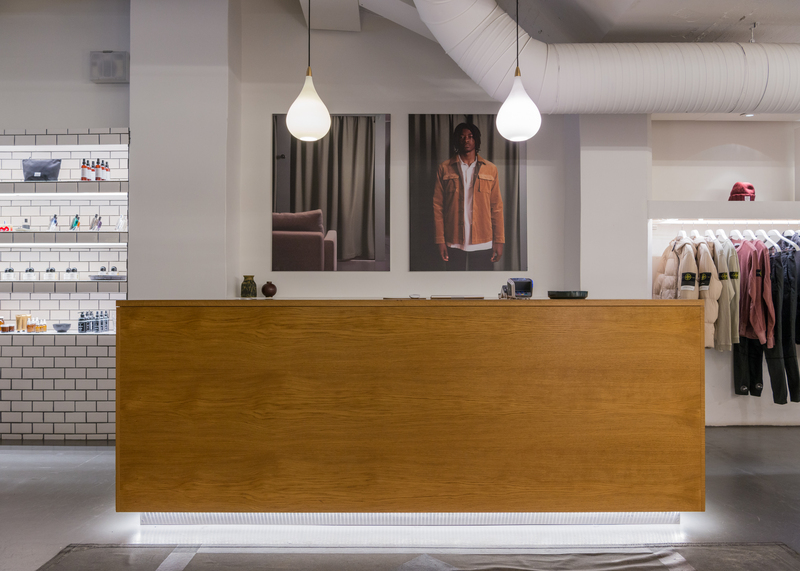 Regular collar, rounded hem and single button cuff.